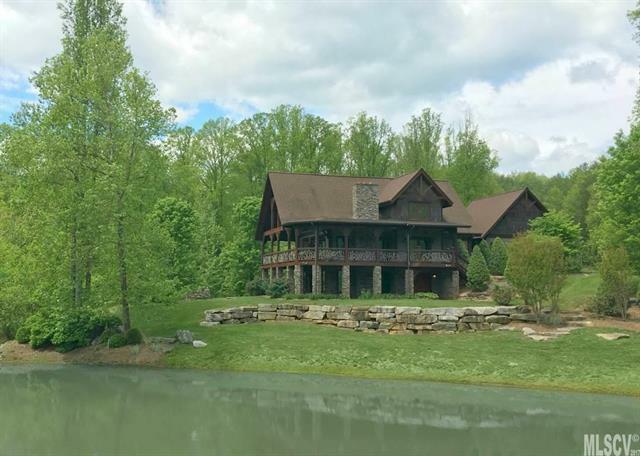 Wonderful mountain getaway home in Collettsville NC close to Wilson Creek and the Johns River. This home features all the high end finishes a buyer would expect for a home in this price range situated in a natural setting that is truly breathtaking. This wonderful home features an open concept living area with a large custom kitchen, granite counters and stainless appliances. The kitchen is open to the living room which is designed for entertaining and has access to the wrap around porch. The main level also has a large master bedroom suite with walk in closet, tile shower, large tub and separate vanities. The second floor has two additional bedrooms each with their own full bathroom and walk in closet. The basement has an open room that would make a great secondary entertainment space, a half bathroom and even a special wine room that has to be seen to be believed. Schedule a showing on this beautiful home today.